The Washington Redskins made a power move on Tuesday as the team came to terms with free agent receiver DeSean Jackson. Jackson arrived in DC late Monday night and was/is still in town at this very moment. Rumors circulated late Tuesday that a deal was imminent, but not official and that Jackson had missed his flight out of the area. Later reports pointed to Jackson having a dinner at The Palms restaurant in Tyson’s Corner. 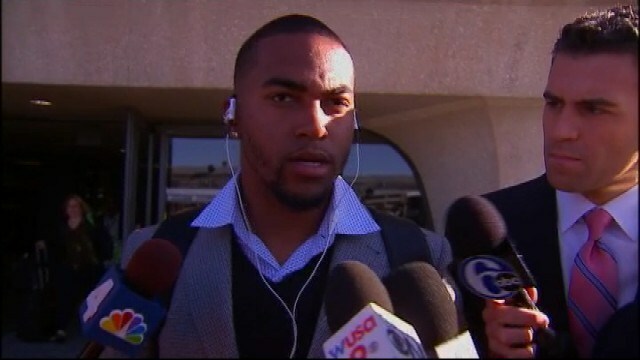 Can confirm that redskins and DeSean Jackson have agreed to a deal and he’s expected to sign in the morning. The deal is for three years, $24 million with $16 million guaranteed. The move gives the Redskins one the most explosive offenses in the NFL with Pierre Garcon, DeSean Jackson, Andre Roberts and Jordan Reed as dynamic, speedy weapons for a healthy Robert Griffin III in 2014. It also bumps the Redskins into being playoff contenders immediately while giving Jackson a chance to get revenge on his former team twice a year. Jackson is coming off of a career year in which he had 82 catches for 1,332 yards and nine touchdowns. But Jackson fell out of favor with Eagles Coach Chip Kelly after just one season. He reportedly missed meetings and clashed with the then-first-year coach off and on throughout the season. On Friday, the Eagles released Jackson amid concerns about his impact on the locker room. The move came just two years after Philadelphia awarded Jackson a five-year, $48 million contract. Washington didn’t stand alone in its pursuit of Jackson. The Oakland Raiders, Buffalo Bills, Cleveland Browns and San Francisco 49ers all were rumored to have expressed strong interest, although Jackson had yet to meet with any of them.